A Connecticut town shocked by the violent school shooting rampage that left 20 children and six women dead at an elementary school began burying the littlest victims on Monday, remembering two 6-year-old boys by the simple details of their short lives. The youngest victim, 6-year-old Noah Pozner, was mourned at a service in Fairfield. Noah had a twin sister, Arielle, who was assigned to a different classroom and survived Friday's attack by the 20-year-old gunman, Adam Lanza. "It is unspeakably tragic that none of us can bring Noah back," Haller said. "We can treasure him forever. And all of us, including the family, the community, the country and the world, can honor Noah by loving each other and taking care of each other." Both services were closed to the media but Haller provided his remarks to The Associated Press. At Jack's service, hymns rang out from inside the funeral home. A mourner, Gwendolyn Glover, said that Jack was in an open casket and that the service was a message of comfort and protection, particularly for other children. With funerals underway and the town struggling to confront the overwhelming loss, police said authorities were struggling with a decision about whether to ever reopen Sandy Hook Elementary, which housed kindergarten through fourth grade. Monday classes were canceled, and the district was making plans to send surviving Sandy Hook students to a former school building in Monroe, a neighboring town. Connecticut State Police Lt. Paul Vance said Monday that moving trucks were given access to Sandy Hook so that furniture and other items could be moved. The fire marshal of Monroe, William Davin, said the new school should be ready "in a matter of days." 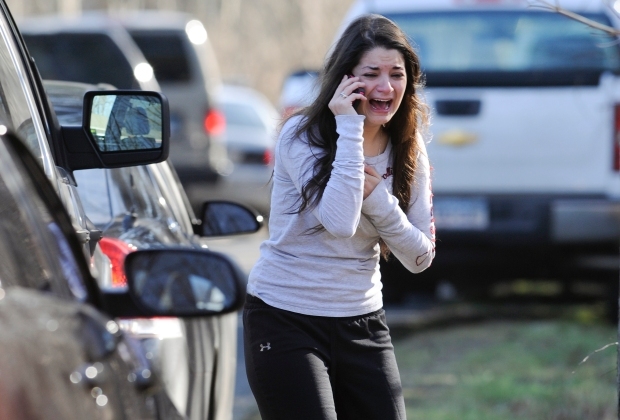 The rifle used on the victims was a Bushmaster .223-caliber. Also found in the school were two handguns -- a Glock 10 mm and a Sig Sauer 9 mm. A shotgun was found in the Lanza's car outside, police said. Lanza shot himself with one of the handguns, police said Sunday after authorities completed his autopsy. 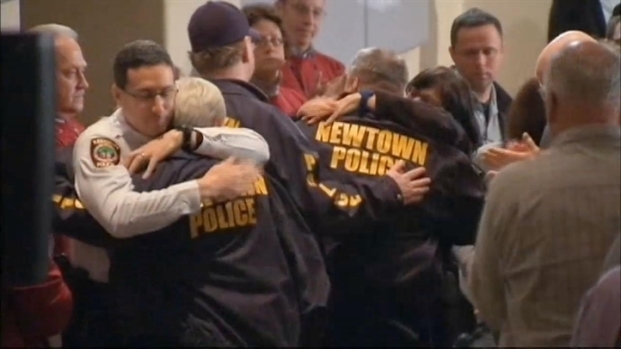 The Newtown massacre was the second-deadliest mass shooting in U.S. history after Virginia Tech. Officials have yet to uncover a motive.